My March Ipsy bag was very nice. The products included are all lovely picks for Spring and ones that I really enjoyed. Plus, I got a liquid lipstick that I am in total awe with. Global Beauty Care Dead Sea Wash Off Mask: This mask draws out dirt and impurities from the skin. It also helps restore elasticity, and is good for all skin types. I really appreciate the resealable pouch, which keeps the product fresh in between uses. Living Proof Perfect Hair Day Dry Shampoo: Dry shampoos are a must for those of us who often have oily scalps. 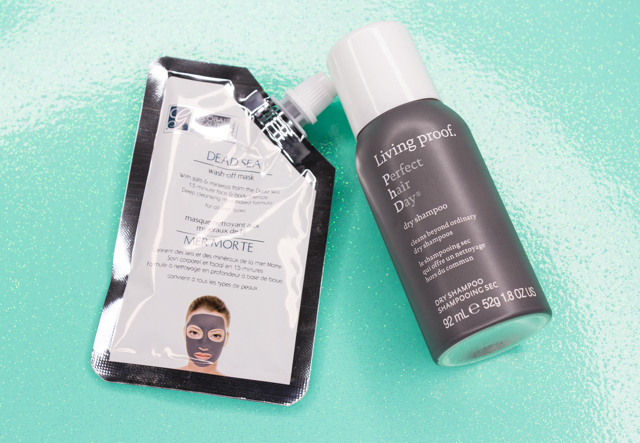 This one from Living Proof absorbs quickly, doesn't leave behind an unflattering visible residue on my dark hair, and it contains a fresh clean scent that I can't get enough of. NYX Liquid Suede Cream Lipstick: This liquid lipstick was the star item in my March bag. I received the shade Pink Lust, and the color couldn't be anymore up my alley. Not only is the color super vibrant and opaque, but the formula is also just as nice. Smooth, comfortable, dries to a lovely matte finish, and long-wearing. Love it! I am definitely planning on picking up a couple more colors from NYX's Liquid Suede Cream Lipstick lineup. Worth mentioning-this liquid lipstick is waterproof, and is infused with avocado oil and vitamin e.
Temptu Warm Glow Bronzer: I wasn't so sure about this liquid bronzer at first. But after trying it out, I was kind of surprised. It gives a natural looking glow to the skin, and it blends like a dream. It's pretty buildable too, so overdoing it won't be an issue. I apply this bronzer on areas where the sun would naturally hit my face like cheekbones, forehead and jaw. I also like to mix a drop or two in with my liquid foundation, to subtly amp up the warmth factor on my skin. 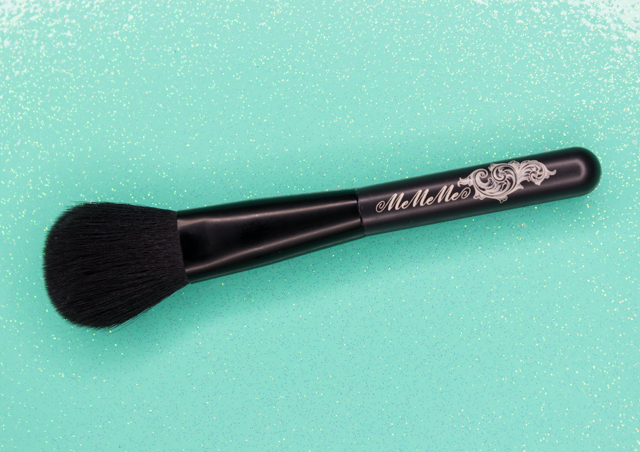 Me Me Me Loose Powder Brush: Since the bristles of the brush-which are very soft by the way, are so full and not very dense, I don't think this brush would be ideal for powder products that require some control during application, like blush and bronzers. I do like it for all over powder application, though. Works very well with my setting powders. 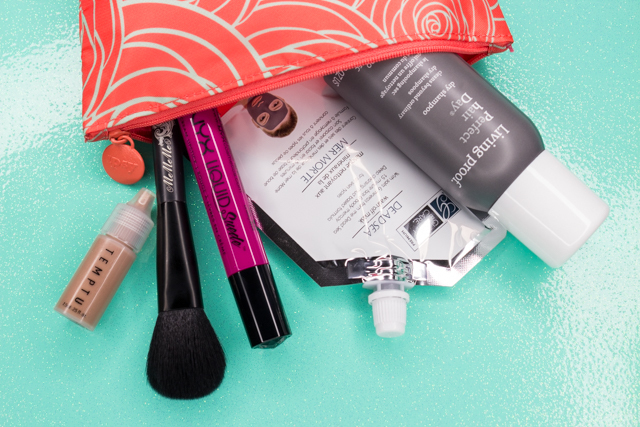 To sign up for a monthly Ipsy subscription click, here. What did you all receive in your March Ipsy bag? Disclaimer: I purchased a monthly Ipsy subscription. This post contains referral links. For more information, please see my disclosure page.